It seems like every other day we’re hearing about a new data breach. Chances are, at least some of our information is out there for someone to find. This is a scary thought, and it makes identity theft a very hot topic. In order to stay safe, we have to keep a close watch on some of the things that can notify us of potential identity theft, such as financial accounts and credit reports. In the world we live in it is important to know the most common warning signs of identity theft. The faster you can spot nefarious activity, the easier it will be to correct. We mentioned that it is important to keep an eye on your accounts and information. The more frequently you do this, the easier it will be to spot fraudulent activity. Here are some warning signs to look out for. Withdrawals from financial accounts that you cannot explain. Your credit report shows activity that was unauthorized. You receive mail or phone calls regarding debts that aren’t yours. Checks are refused by merchants. You aren’t receiving mail or bills that you believe you should be receiving. You encounter difficulties filing a tax return. Some examples are being notified that a return was already filed under your name or the IRS notifying you of income from an employer you aren’t employed by. Unexpected denial of a credit application. Contact you’re the financial institution that holds the account where an unauthorized transaction is spotted. Contact the credit bureau that issued the credit report where you noticed unauthorized activity. If you don’t subscribe to an identity theft restoration service, place a credit freeze on your file. 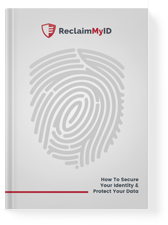 If you know you are a victim of identity theft and you are a member of an identity theft restoration service, such as ReclaimMyID, contact them right away. A Licensed Domestic Certified Identity Theft Risk Management Specialist will get started on restoring your identity. Update any online passwords for websites tied to accounts that you think may be compromised. If you aren’t a victim of identity theft, but you’re concerned about it happening in the future, subscribe to an identity theft restoration service. There are people who want to use your information for their gain and your harm. If you become a victim, knowing the warning signs of identity theft will save you time, money and stress.